Small and light : With the mid – frequency transformer which is extremely smaller than the traditional welding power source. Weighing one fifth to one tenth as much as traditional welding power sources; only one third as big as the traditional welding power sources. Efficient and energy – saving : Because inverter welders reduce the wasted power by using less copper and steel. Over one third power consumption will be saved because the efficiency is 80% to 85% while the power factor is as high as 0.93. Having step – less adjustment for welding current and voltage. Different requirement of different welding technique will be reached. 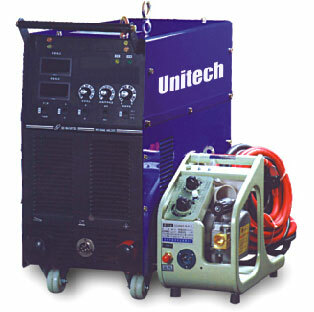 Stable welding with minimal spatter and outstanding welding performance. With the function of auto – compensation against power fluctuation. 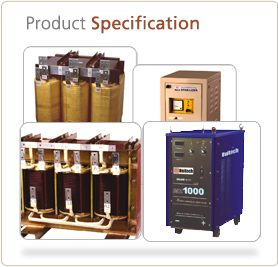 Based on the technology of the HF Inverter with IGBT module. The frequency is as high as 20 kHZ. The response is fast. The Pulser Width Modulation control method grantees the quality and consistant performance. Digital display is provided for current and voltage adjustment before welding. Applicable for all the welding positions as the welding current will be automatically adjusted when the stretching length is not more that 30 mm. 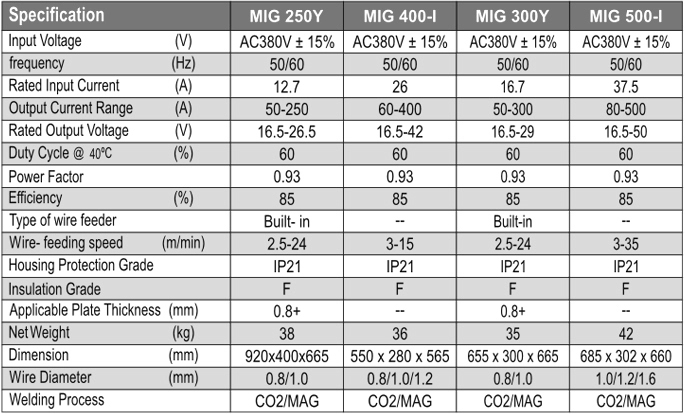 Stable welding with strong capability against power fluctuation (310V – 450V).